The Florida Film Festival is celebrating its 28th year with what is sure to be an entertaining slate of films. The festival will take place April 12-21, and the theater playing the films is only about half an hour from the Florida Hotel and Conference Center. The Florida Film Festival is unique because it is Oscar-qualifying in the Live Action Short, Animated Short, and Documentary Short Subject. The 2019 Florida Film Festival will be home to 54 feature films and 126 shorts. The festival highlights films from local Florida filmmakers, filmmakers from around the United States, and filmmakers from around the world. Throughout the entirety of the festival, there will be delicious food and hand-crafted specialty drinks available at Eden Bar. 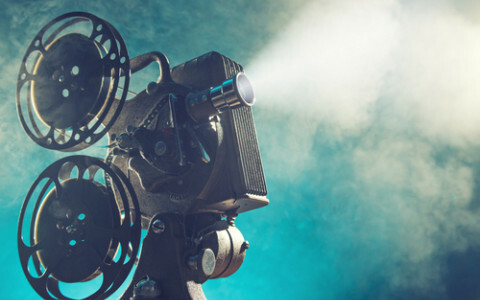 If you are a film lover and you want to prepare for the 2019 Oscar season, then you will not want to miss The Florida Film Festival. Comedian and actor Mike Epps is one of the funniest comics currently working. He has gathered an incredibly talented group of entertainers to join him on his “Funny as Ish Comedy Tour.” All of the fun will take place on March 22 at the CFE Arena which is located only about half an hour from the Florida Hotel and Conference Center. This show is definitely worth the short drive. The guest host for the night will be Sommore who is best known for her award-winning work on “Chandelier Status.” Earthquake, best known for HBO’s Def Comedy Jam and BET’s Comic View will bring his hilarious styling to the show as well. 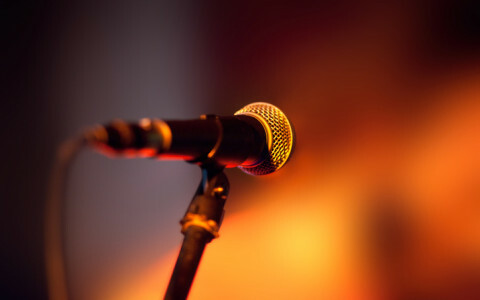 The audience will also be delighted by Rickey Smiley and DC Young Fly, the latter of which starred on Nick Cannon’s hit “Wild ‘N Out.” With a collection of talent like this one, you are sure to be laughing all night long. For the past 5 years, fans of the Orlando MLS team, Orlando City, have celebrated the team and each new season with a pub crawl. March 1, 2019, is the date of this year’s Orlando City Pub Crawl. All of the fun starts at Lion’s Pride which is only about 20 minutes from The Florida Hotel and Conference Center. After Lion’s Pride, the fans will make their way to Elixir and then to Wall St. Plaza. 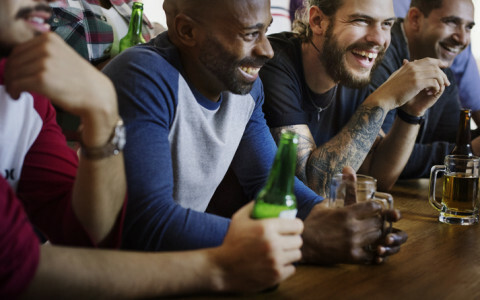 This pub crawl has become one of the most popular events of the year, and even if you are not a soccer fan, you are sure to enjoy all of the fun and excitement. If you are a fan of the beautiful game, you can join in the spirit of the event by wearing Orlando City Gear, Orlando City colors, face paint, or any other soccer apparel that you have. By the end of the night, you will be saying, ”Cheers to Orlando City” with all of your new friends. Cher, also known as the Goddess of Pop, has been delighting audiences with her incredible singing ability for over 50 years! She is a beloved figure all around the world due to her unbelievable talent and philanthropic efforts. On January 21, Cher will be performing at the Amway Center, home of the Orlando Magic, which is less than 20 minutes from The Florida Hotel and Conference Center. Of course, Cher will belt out some of her biggest hits like “Gypsies, Tramps, and Thieves,” “I Got You Babe,” “Believe,” “If I Could Turn Back Time,” and “ Just Like Jesse James.” Plus, after the success of the film Mamma Mia 2, Cher will be adding some songs from the Dancing Queen album to her show. If you have ever seen Cher before, you know that her shows are more than just the songs themselves. She brings an energy that will fill the entire arena. To help get into the swing of the holiday season, why not experience a performance of a beloved Christmas Classic with a Central Florida twist. Orlando is home to quite a bit of magic, so it is not much of a surprise that the Central Florida Ballet has added some of their own magic in a show that has come to be known as “The Pyrotechnic Nutcracker.” Of course, the ballet follows the story of the Nutcracker Prince Nikita who saves Maria and takes her on an adventure through his kingdom. The ballet hits the highlights like the meeting with the Sugar Plum Fairy and a celebration of dances from around the world. However, all of the classical story and dances are enhanced with Cirque like flourishes and plenty of pyrotechnic displays. All of the fun takes place on Saturday, December 15 and Sunday, December 16, so get your tickets soon before they all sell out. History and film buffs alike will love Titanic: The Artifact Exhibition. Located only about 15 minutes from the Florida Hotel and Conference, this unique exhibition allows visitors to step back in time to experience and learn about the famous ship, the Titanic. You will feel like Leonardo DiCaprio and Kate Winslet as you stroll down the Grand Staircase. Plus, there are talented actors portraying some of the famous historical figures from the ill-fated voyage including Captain Smith and the “Unsinkable” Molly Brown. In addition to recreations of the famous ship, the exhibition is home to artifacts that have been recovered from the ocean floor as well as memorabilia from the Academy Award Winning film. One of the most incredible aspects of the exhibition is the Promenade Deck where you can feel the cold Atlantic Ocean air much as it would have been on that fateful night in April of 1912. The Enzian Theater in nearby Maitland, Florida is a unique moviehouse that focuses on film as art with a variety of independent, alternative, foreign, and classic film offerings. Located about half an hour from The Florida Hotel and Conference Center, The Enzian Theater is worth the drive because of its nostalgic feel and style. All October long, The Enzian will be showing horror films that range from classic to cult favorites. The fun starts on October 13 with vampire classic Nosferatu in the afternoon and Creepshow at midnight. On October 15, you can join in on all the laughs and scares of The Rocky Horror Picture Show. There will be another double feature on Sunday, October 20 with Misery and Re-Animator on the schedule. The month wraps up with The Thing on October 23, The Hills Have Eyes on October 27, and Horror of Dracula on October 30. This Halloween season, enjoy a classic horror film in a classic movie theater. Marie Tussaud opened her first museum, featuring some early versions of the famous wax sculptures that would eventually become synonymous with her name, in London is the 1830s. Almost 200 years later, there are Madame Tussauds museums all around the world in places like Beijing, Amsterdam, Istanbul, Prague, and even Orlando. The Orlando branch of the museum is only about 15 minutes from the Florida Hotel and Conference Center. One of the newest and most popular exhibits at the museum features Justice League heroes like Batman, Superman, and Wonderwoman. Other popular figures include TV stars like Neil Patrick Harris, Oprah Winfrey, and Jim Parsons, Movie stars like Audrey Hepburn, Jackie Chan, and Marilyn Monroe, and A-list Celebs like Selena Gomez, Will Smith, and Jennifer Aniston. There are even realistic recreations of famous animated characters like Po from Kung Fu Panda, E.T., and Shrek. Madame Tussauds is the perfect place for photo opportunities with some of your favorite celebrities. When people think of Florida they probably think of beautiful golf courses, sprawling sandy beaches, and a certain famous mouse. However, there is so much more to the Sunshine State including other incredible creatures, alligators. Gatorland adventure park in Orlando is home to all kinds of animals like crocodiles, wild cats, birds, snakes, tortoises, and, of course, alligators. Plus, Gatorland is only about 15 minutes from the Florida Hotel & Conference. Both the Gator Gauntlet Zipline and the Screamin’ Gator Zipline allow visitors to coast above over 100 alligators. The Gator Night Shine experience allows you to explore the park in the dark using only a flashlight as your guide. Other highlights include the Gator Jumparoo show where the alligators jump as high as 4 feet out of the water, the Gator Wrestlin’ Show, and the Up Close Encounters Show where you are able to handle some of these magnificent creatures. If you are looking for a fun-filled evening for a group of people, then you will want to experience one of the escape rooms at The Great Escape Room in Orlando. Located less than 25 minutes from the Florida Hotel and Conference Center, there are 3 distinct escape scenarios offered at The Great Escape Room. In the first, The President’s Bunker, you and your party have one hour to find all the clues necessary to regain control of the US Missile Control Center before nuclear Armageddon. The second room, Professor Moriarty’s Gameroom, pits you against the famous nemesis of Sherlock Holmes as you try to solve his puzzles in less than 60 minutes. The last room, Dr. Watson’s Infirmary has you fill in for the doctor and his team of surgeons who have been locked out of the operating room. Regardless of which experience you choose, you and your friends are sure to have a thought-provoking good time. For two days, June 22-23, you and your family can see mascots from across the country and across a variety of sports in a gladiator-style competition in an event where all proceeds go to the New Hope for Kids Charity. The event takes place at the Amway Center, home of the Orlando Magic, which is only about 25 minutes from The Florida Hotel and Conference Center. There will mascots from the NBA, NHL, NFL, MLB, NCAA, and Arena Football League participating in this year's event. Where else can you see Louie from the St. Louis Blues compete with Rocky the Bull from USF, Burnie from the Miami Heat, Jaxson De Ville from the Jacksonville Jaguars, and Sluggerrr from the Kansas City Royals battle for mascot supremacy? This family-friendly event is sure to become a favorite that you will want to attend year after year. In fact, the smiles might not leave you and your children’s faces for days. The 2018 Beer ‘Merica event takes place May 19 from 3-6 PM at Gaston Edwards Park which is only about 20 minutes from The Florida Hotel and Conference Center. Since this is a celebration of beer, it is a 21 and over event. For those three hours, you will have the opportunity to sample over 100 craft beers from breweries like Elysian, Florida Beer Company, Goose Island, Sea Dog, Magic Hat, Kona, and many more. There will also be food available from popular food trucks like Cubano Kitchen, The Sugar Sow, Backhaus, Da Kine, Burgers N Stuff, and Fat Ones. The visitor with the most patriotic outfit, it is called Beer ‘Merica after all, could win beer for an entire year. Other highlights of the festival include an Adult Play Zone, live music, and a dog-friendly atmosphere. Whether you consider yourself a beer connoisseur or just want to try some different brews, the Beer ‘Merica Festival is the place for you. April 21, 2018, a Saturday is Earth Day, and it is also the date of the 13th annual Central Florida Earth Day. This festival, the longest running of its kind in Central Florida, takes place at beautiful Lake Eola Park which is about 25 minutes from the Florida Hotel and Conference Center. The dog friendly event goes from 10 AM until 6 PM and is free to the public. All day long there will be speakers, presentations, and live entertainment. There will also be vendors selling eco-friendly goods as well as an animal haven where lovable pets will be available for adoption. If you are traveling with children, there is even an Earth Kids Zone with activities that teach the importance of taking care of the planet through recycling, reusing, and reducing. Bring your appetite because unique and exciting vegan cuisine will be available all day long. There is no better place to celebrate the planet we live on than Central Florida Earth Day. New Orleans may be famous for the biggest and best Mardi Gras celebration in the world, but did you know that you can experience a taste of New Orleans during your stay at the Florida Hotel and Conference Center? Universal Orlando’s Mardi Gras celebration will continue all month long. In fact, it doesn’t end until April 7, 2018. The park is less than 20 minutes away from our hotel, and all the Mardi Gras extras are included in your general admission pass. Every night, there will be parades filled with colorful outfits, talented dancers, and of course, a multitude of beads flying through the air. Cajun food and special drinks will be available for purchase so you can enjoy a New Orleans-inspired meal while taking in the festivities. 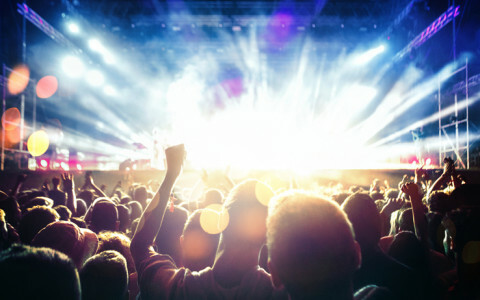 On select evenings, artists like Fitz and the Tantrums, Fifth Harmony, Bush, and Jessie J. will perform. This is one Mardi Gras party that you won't want to miss. The Tibet-Butler Preserve just outside of Orlando is the perfect place to spend a day enjoying nature. It works as a calm counter to all of those hectic but fun days at the numerous area theme parks. Located about 25 minutes from the Florida Hotel and Conference Center, Tibet-Butler has numerous hiking trails of varying length. In addition to the trails, the Tibet-Butler Preserve also contains a beautiful nature center that provides some educational programs and also features the tranquil butterfly garden. You and your family may want to pack a lunch to enjoy at one of the picnic areas, so you can make a whole day of your trip to the preserve. Be on the lookout for indigenous plants like longleaf pines and cypress trees as well as local birds like ospreys and barred owls. If your vacation involves pictures with characters, rides, and lots of lines, the peaceful feel of the Tibet-Butler Preserve could be a welcome respite. Basketball has often been described as the jazz of sports because of the high wire improvisation that the players perform on a nightly basis. This year’s iteration of the Orlando Magic are true virtuosos of improvisation. The beautiful Amway Center is only about 15 minutes from The Florida Hotel and Conference Center, so you should plan to attend a game during your stay. In the next two months alone, the Magic have exciting home games against the Minnesota Timberwolves, Sacramento Kings, LA Lakers, Washington Wizards, Cleveland Cavaliers, Charlotte Hornets, New York Knicks, Toronto Raptors, and Detroit Pistons. While the Magic have struggled this season as far as the standings go, they always put a great show. With stars like Aaron Gordon, Bismack Biyombo, Nikola Vucevic, and Elfrid Payton coming into their own, the Magic are a team on the rise. With the playoffs on the horizon, every game is meaningful, and these young Magic players will be fighting until the very last game. This holiday season, you and your family have the incredible opportunity to experience an Orlando tradition that has been going on for more than 30 years. The Singing Christmas Trees of First Baptist is a unique and beautiful performance of Christmas music. The event conveniently takes place only about 15 minutes from the Florida Hotel and Conference Center. 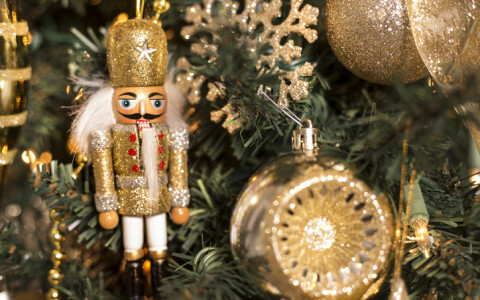 So what makes the Singing Christmas Trees so unique? Well the trees themselves serve as 40 foot risers for an extremely talented choir. The choir is backed up by a brilliant orchestra, and they are surrounded by a wonderful display of thousands of Christmas lights. The final product is so powerful and really gets people into the holiday spirit. This year, the performances will take place 9, 10, and 11, and December 15, 16, 17, and 18. There is even an option for premium seating with a buffet if you are looking for dinner and a show. Beginning on November 18, 2017 and running all the way until January 6, 2018, Universal’s Islands of Adventure will be home to the annual Grinchmas Holiday celebration. Universal is only about 20 minutes from the Florida Hotel and Conference Center, so this is one holiday event that you will not want to miss! Seuss Landing, the section of the park dedicated to the author and his most famous creations, is transformed into a winter wonderland full of decorations and lights. Throughout Grinchmas, audiences will be delighted with a live, musical stage show based on the famous story. You and your family will also have the opportunity to meet the Grinch in his lair where you can try to make his heart grow three sizes. Lastly, you can reserve a place to have breakfast with the Grinch and other famous Dr. Seuss characters. A trip to Who-ville and a visit with the Grinch is the perfect way to kick off the holiday season! This Halloween season, enjoy a spooky evening of thrills and chills at A Petrified Forest. 2017 marks the 10th year of this world class fear experience. In fact, A Petrified Forest is one of the “top five haunts’ in Florida and one of the top 50 haunted experiences in the entire country according to The Scare Factor. Located only about 25 minutes from The Florida Hotel and Conference Center, A Petrified Forest contains over 85,000 square feet of scares and fun. The fact that the attraction is in the middle of forest only makes the frights seem more real. There is even a Kids Day on October 14, so the children can enjoy the fun Other event nights including Special Needs Night on October 18, and Total Eclipse Nights on October 26 and November 2. Once you are sufficiently scared for the evening, make your way back to the resort and grab a night cap at Crickets Bar. Each fall, Disney’s Epcot World Showcase features the International Food & Wine Festival, which is a celebration of global cuisines, music, and culture. This year’s festival has already begun, but it will continue until November 13, 2017. While strolling through the World Showcase, you can stop at any of the 35 kiosks along the way and pick up a variety of delicious international foods and drinks to sample. Throughout the festival, you will be able to see celebrity chefs like David Gremmels, Andy Trousdale, Carla Hall, and Cat Cora demonstrate their incredible culinary skills. The many cheese seminars available teach you how to pair different cheeses with the perfect beer or wine. Speaking of which, the beverage seminars school visitors with plenty of wine, beer, and spirits information. The International Food & Wine Festival is one of the most popular events on the Disney calendar, and it just keeps getting better every year! It seems like every year, Major League Soccer gets more and more popular. Since 2015, Orlando City has been one of the new and exciting teams that has helped spread that popularity. The home stadium, Orlando City Stadium, is only about 15 minutes the Florida Hotel and Conference Center. In the next two months, the local team has hoe games against the Columbus Crew, Vancouver Whitecaps, New England Revolution, and FC Dallas. With superstar players like Kaka, Cyle Larin, Carlos Rivas, and Joe Bendik, Orlando City is making some noise in the Eastern Conference. Seeing Kaka play is like watching a living legend. Soccer is one of those sports that is definitely more exciting in person, so you will not want to miss your chance to catch a game in the beautiful Orlando City Stadium. After the game, make your way back to the hotel for a delicious dinner at Marcelo’s Bistro. The Coca-Cola Orlando Eye provides visitors with the unique opportunity to experience one of the best views that Orlando has to offer. A relatively new attraction, it first opened in 2015, this 400-foot observation wheel, basically a giant Ferris wheel, offers a stunning view of downtown Orlando. On particularly clear days, you may even be able to see all the way to Cape Canaveral! Located only about 10 minutes from The Florida Hotel and Conference Center, the Orlando Eye is quickly becoming a favorite destination for visitors. In addition to the ride on the observation wheel, you and your family will be treated to an uplifting film before departing on your ride. After the ride, be sure to peruse the gift shop for a souvenir or two to help commemorate your visit. In a city full of adventures, the Coca-Cola Orlando Eye is the perfect destination for families of all kinds. If you are looking to spend a day away from the crowds at the many theme parks in Orlando, then you are sure to enjoy the Charles Hosmer Morse Museum of American Art. Just 25 minutes from The Florida Hotel and Conference Center, the Charles Hosmer Morse Museum is home to the largest collection of work by Louis Comfort Tiffany in the world. This breathtaking collection includes stained-glass windows, lamps, watercolors, and desk sets. The jewel of the collection is the Tiffany Chapel which was originally created for the Chicago World’s Fair in 1893 and was carefully reconstructed at the museum over a two year period. In addition to the Tiffany collection, the museum has American decorative paintings and art from the mid-19th through the early 20th century. After strolling through all that the museum has to offer, make your way back to The Florida Hotel and Conference Center for a relaxing drink and appetizer at Cricket’s Bar.